At the south end access to the river side was good. 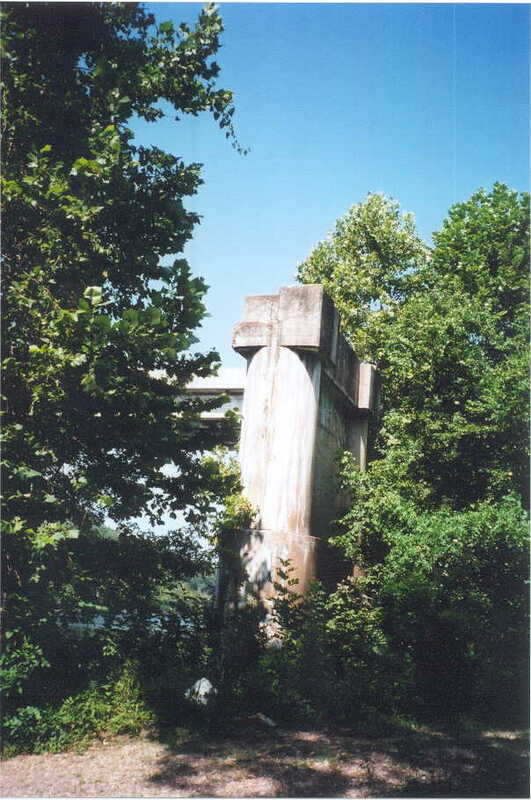 This photo shows what was apparently the middle span. Note that it is considerably different than the other two, which are basically identical. Also note that the center panel of this span is about half the length of the others. 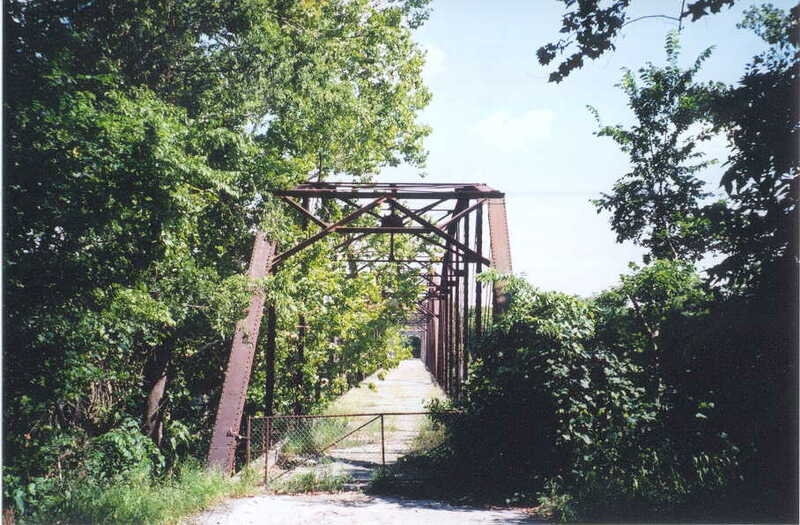 It is believed that this span is newer than the other two, and slightly longer. 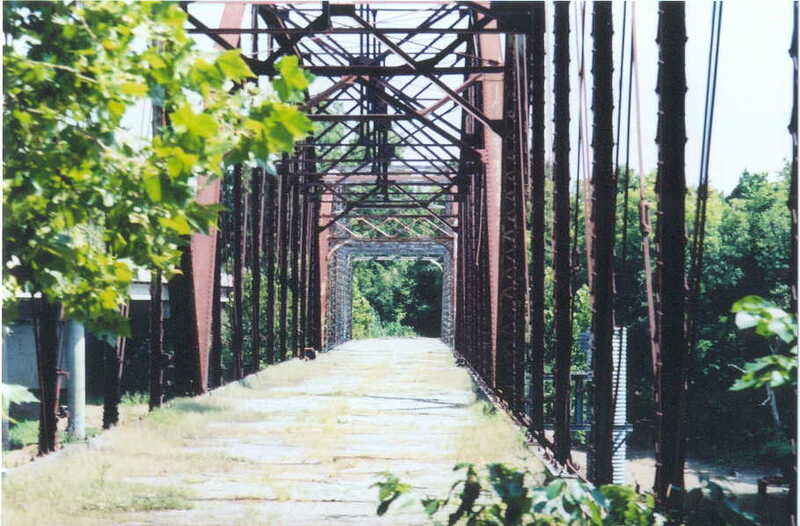 All three spans are 9 panels long and pin-connected. 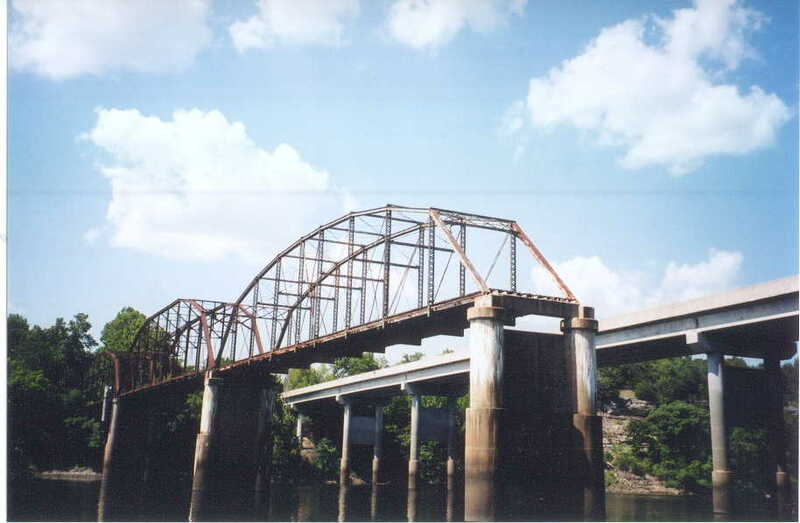 The older spans probably date back to circa 1910. The newer probably dates to the early 1920's. Below left, a long shot through the bridge. Below right, a lone pier.